The Roman civil war has come to its conclusion – Pompey is dead, Egypt is firmly under the control of Cleopatra (with the help of Rome's legions), and for the first time in many years Julius Caesar has returned to Rome itself. Appointed by the Senate as Dictator, the city abounds with rumors asserting that Caesar wishes to be made King – the first such that Rome has had in centuries. And that not all of his opposition has been crushed. Gordianus, recently returned from Egypt with his wife Bethesda, is essentially retired from his previous profession of ‘Finder' but even he cannot refuse the call of Calpurnia, Caesar's wife. Troubled by dreams foretelling disaster and fearing a conspiracy against the life of Caesar, she had hired someone to investigate the rumors. But that person, a close friend of Gordianus, has just turned up dead – murdered -- on her doorstep. 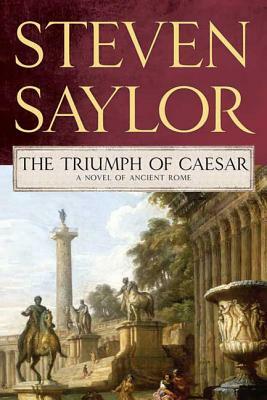 With four successive Triumphs for Caesar's military victories scheduled for the coming days, and Caesar more exposed to danger than ever before, Calpurnia wants Gordianus to uncover the truth behind the rumored conspiracies -- to protect Caesar's life, before it is too late. No fan of Caesar's, Gordianus agrees to help – but only to find the murderer who killed his friend. But once an investigation is begun, there's no controlling what it will turn up, who it will put in danger, and where it will end.